In Part 1 of this article about merger and acquisition deals, we discussed the value of a closing checklist. In Part 2, we reviewed practical tips to consider when conducting public records due diligence and coordinating state filings. Part 3 covered the importance of ensuring that the surviving company is properly licensed to carry on its activities. In this fourth and final post for the series, we’ll be discussing the post-closing matters that must be addressed. Just like during your pre-closing phase, be clear on who is responsible for post-closing matters. In some cases, the outside counsel law firm may agree to handle certain post-closing items, but expect that the legal department of the buyer assumes others. It is highly recommended that you develop a post-closing checklist to track the important items that need to get done, by when, and assign who is responsible for each item. This ensures that you maintain compliance with the terms and condition of the merger or acquisition agreement and stay in full compliance as you commence the business of your newly acquired company or integrate it in to your existing business. Updating Name in All Existing Jurisdictions: If required, ensure that the name of the surviving company has been changed either at the time of merger, or shortly after closing, in the domestic state and in all other states where the survivor will do business. Other states will allow you to submit a certification (“Certificate Re Merger) evidencing the merger in the domestic state, thereby allowing the survivor to be recognized on the state record as the successor in that state. There is a new approach recently adopted by Texas that will allow you to file a “Certificate of Amendment to Disclose a Change Resulting from a Merger” for all entity types. This is a movement to simplify the process. We are keeping a pulse on similar developments in other states. Conduct State Audit: We have seen many examples where a large company is preparing for another deal and realizes that some of the above matters were not taken care of after a prior deal. This can cause delays and, in some cases, worse consequences for future deals if not done properly. Doing a jurisdiction by jurisdiction “double check” to ensure all bases have been covered can prevent a lot of frustration down the road. Annual and Periodic Reports: The surviving company will be required to file annual reports and pay franchise taxes in the majority of states. Timeframes, the disclosure on the reports and the franchise tax fees vary greatly depending on the entity type and jurisdiction. Ensure you know and track the due dates each month and decide who will be responsible to file the reports and pay the taxes. Assumed Name or D/B/A Name Renewals: Timing varies greatly for these types of renewals (i.e., in some states the renewal is every 5 years; others are every other year in odd or even years depending on the year you file . . .fun!). It is important to establish a good system to keep track of these due dates to ensure you protect the alternate names that you are using to conduct business in all jurisdictions. Business License Renewals: Okay, by now you are probably tired of the reminder of how important it is to track and renew business licenses, but this is another important recurring administrative task that shouldn’t be overlooked. TIP: Check with your Registered Agent to determine if there is an online entity management system to help you track all of the above due dates, and, better yet, see if they offer a service to assist you with these filings. (They often have a team of experts who are very familiar with the differences by states). Minute Books, Stock Ledgers, Seal: Post-closing is an ideal time to review the books and records, especially if you are the Company Secretary or paralegal responsible for managing the records of your subsidiaries and affiliated companies. Ensure you have the full and complete charter, state registrations, business licenses and all minutes and consents related to the organization of the company and all actions taken (especially the approval of the recent M&A deal). Ensure the ownership (stock or membership) ledger is complete and that the appropriate share or membership certificates have been issued (this is likely to have been done just before or at closing). Prepare a company profile for each new subsidiary listing members, managers, states and dates of formation and qualification, business licenses held, etc. This will come in handy when you are asked for current information. In addition to keeping these records in a Minute Book, there are many entity management systems available. Again, check with your Registered Agent to determine if there is an online option to help you manage these important records. 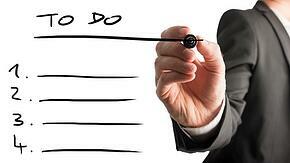 As you can see, there are many post-closing tasks that need to be completed after a merger or acquisition. By creating a post-closing checklist and assigning responsibility for each item on the list, you can ensure that nothing slips through the cracks regarding updating internal and public records along with meeting ongoing recurring requirements.